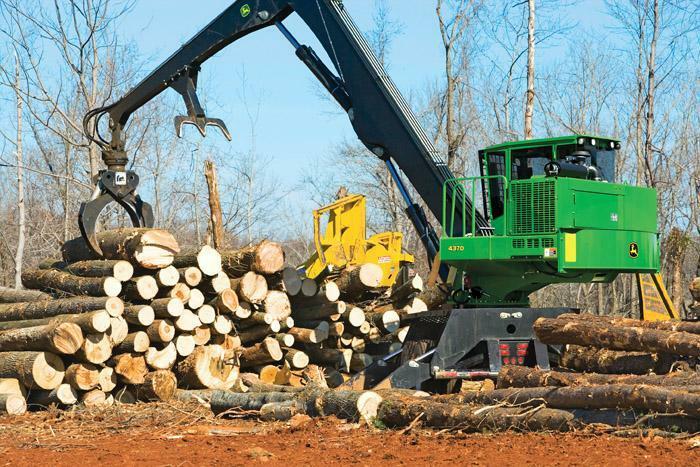 Southern Loggin’ Times’ July issue spotlights Virginia’s Triple W Logging, which continues to gain momentum as a versatile and reliable family operation. Also highlighted is Jeffery Stevens, whose life-long passion and dream of being part of the logging business has put him on a road to success with the development of his own company, Jeffery L. Logging & Trucking Co. The issue features a report of the Timber & Biomass Expo Southeast, which drew good participation despite challenges to the end, as well as a report of the Expo Richmond 2010, officially known as the East Coast Sawmill and Logging Equipment Exposition, which combined an attractive mix of logging and sawmill machinery. The Nameless Texas Towns: Texas Sawmill Communities, 1880-1942 saga continues with a new excerpt in the serialization. From the age of five, Jeffery Stevens has known what he wanted to do when he grew up. His boyish attraction to big trucks and big machines, nurtured by a truck driving dad who sometimes let him ride shotgun on weekends or summer vacations, soon blossomed into a passion that continues to motivate the 31-year-old owner of Jeffery L. Stevens Logging & Trucking Co. His dad, Jerry Stevens, spent the largest part of his career driving log trucks—first as an employee and then as an owner/operator. That is, until he became his son’s first employee and his business advisor in 2005. 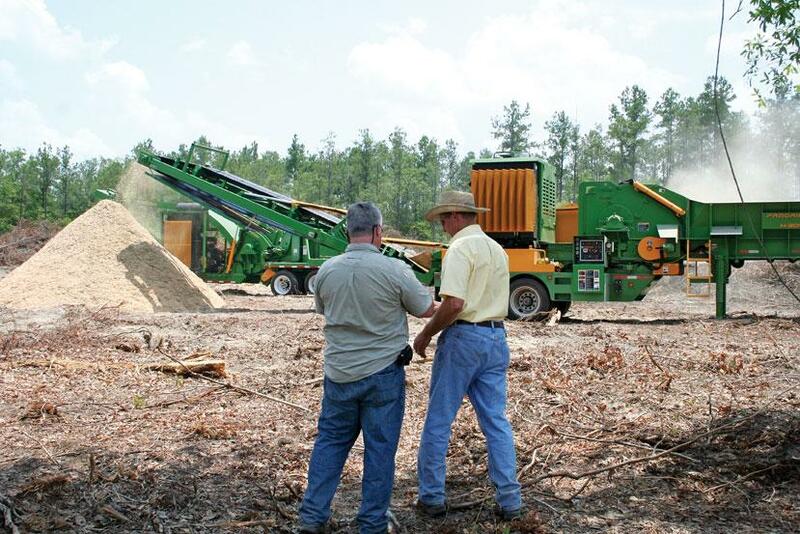 Despite a 110° heat index, and a few alligators reportedly roaming about, the Timber & Biomass Expo Southeast attracted approximately 3,000 participants of all stripes and ages from 24 states and several countries over two days, June 11-12. Fifty exhibitor companies were on hand to greet visitors with an impressive lineup of equipment and supplies, including live demonstration action that produced tons of biomass and logs from forests owned by The Langdale Co., based in nearby Valdosta, Ga.
A constant crowd served as a reminder that Expo Richmond remains an important event on the forest products industry show tour. 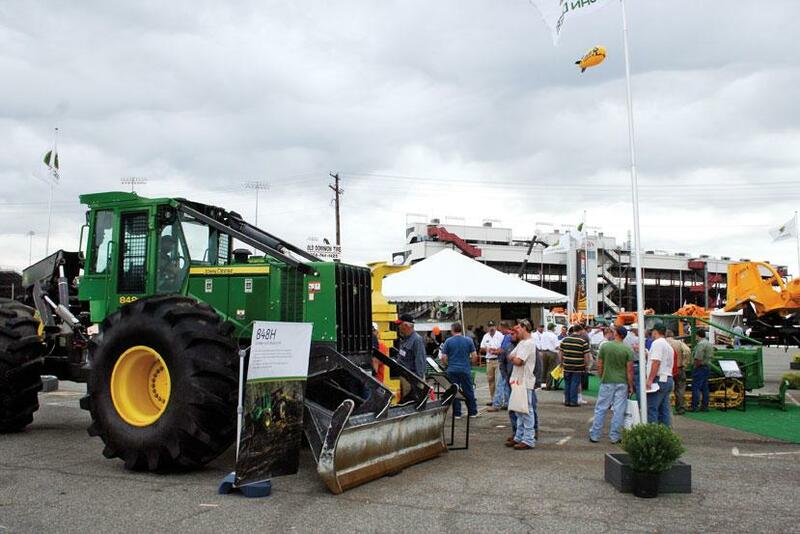 More than 5,300 attendees viewed 265 equipment and supplier company exhibits May 21-22 at the Richmond ­Raceway Complex in Richmond, Va. The event, officially known as the East Coast Sawmill and Logging Equipment Exposition, combines an attractive mix of logging and sawmill machinery. This was the 32nd Expo Richmond. There are times when something you attempt turns out to be, in the words of the late Joe Wood, the one-of-a-kind Barko icon, “about as difficult as putting a raw oyster into a parking meter.” So it was with Timber & Biomass Expo Southeast, sponsored by Hatton-Brown Publishers, the parent company of this and other magazines, and finally staged June 11-12 near Valdosta, Ga. Thankfully, the “most advertised and highly promoted forestry event in modern history” turned out quite well, all things considered. Check out the account found on pages 16-18. A dietician was addressing a large audience: “The material we put into our stomachs is enough to have killed most of us sitting here, years ago. Red meat is awful; soft drinks erode your stomach lining; Chinese food is loaded with MSG; vegetables can be disastrous; and none of us realizes the long-term harm caused by the germs in our drinking water. Two important events in the lives of Mississippi loggers—the biennial banquet of the Mississippi Loggers Assn. 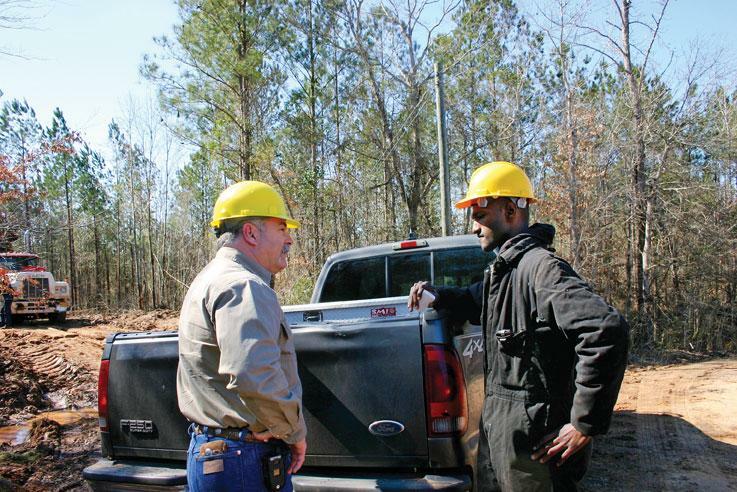 (MLA) and continuing education/information opportunities for loggers, foresters and forest landowner information—will help boost attendance at the Mid-South Forestry Equipment Show September 17-18 near Starkville, Miss. John Deere Construction & Forestry’s new knuckleboom loaders are bulked up over their predecessors for improved durability and performance. 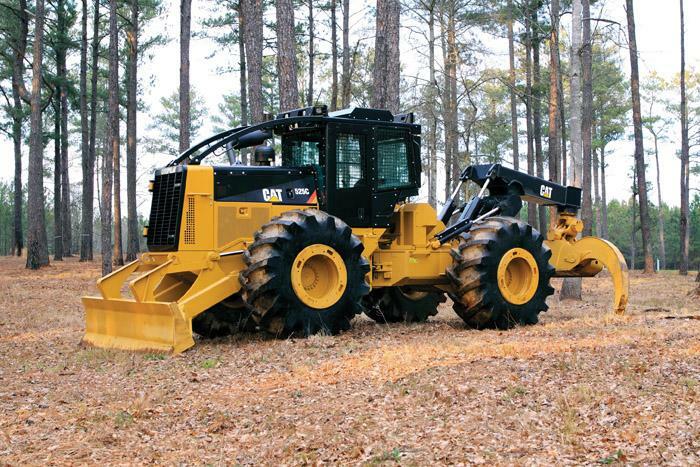 Machine upkeep isn’t just about ensuring that your forestry equipment is performing at peak efficiency. Even more important is keeping your machines in top condition so your operators will be safe. A machine walk-around at the beginning of every shift, followed by any repairs or cleaning, is an important safety, as well as maintenance, step.